BondSt may fool you with its swanky and trendy vibe but it actually falls among the ranks of the best Japanese restaurants in NYC. Executive chef Mark Spitzer and Sushi chef Shigeru Mikami make a great team when it comes to presenting a chohesive meal of sushi/sashimi and composed Japanese dishes. 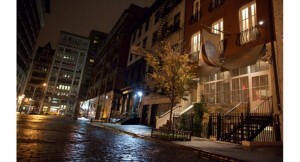 The restaurant is located in a full brownstone building on cozy cobble-stoned Bond Street. You cannot get any more New York than that. Each of the levels is dimly lit, packed with tables and simply decorated with dark furniture and a few enormous bouquets of flowers. Given that it is spring we had bunches of cherry blossoms dangling overhead while we sipped lychee martinis by the bar. On this particular evening a friend of mine wanted to introduce his new girlfriend to our group so we decided to get together for a nice meal before a night out. We started with some sashimi style dishes – a Szechuan yellowtail sashimi in a ponzu, chili oil and a seared fluke sashimi in a sauce of kabosu soy, Tokyonegi, myoga, opal basil, and Serrano. Both were chilled and fresh with their flavors highlighted by bold sauces. 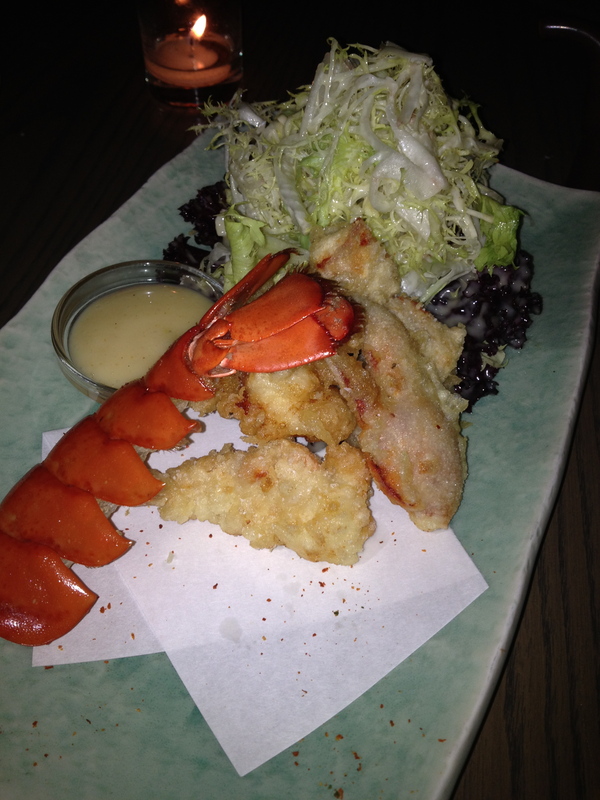 Next was lobster tempura with creamy Japanese mustard dressing. Lobster. Fried. Period. The big eye tuna tarts were like slices of sashimi on top of a crispy crust dressed with creamy ponzu, white truffle oil, and micro shiso. A solid combination. 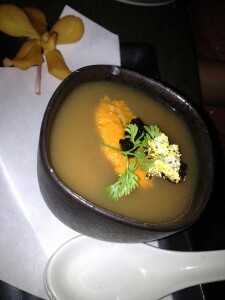 The lobster and uni chawan mushi was a very sophisticated dish full of subtle flavors. The beautiful silken custard topped a hidden pile of lobster meat and was seasoned with a wasabi soy, while pieces of uni and American sturgeon caviar. Decadent and yet refined. To follow we shared a couple of special rolls. 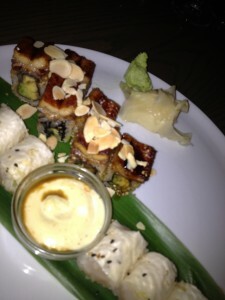 Hot eel dice with a sweet soy glaze and sliced almonds were warm and tender. Spicy yellowtail roll wrapped in soy paper with a magical secret sauce that made everything taste incredibly delicious. 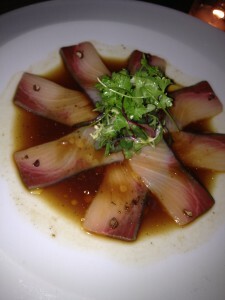 The sauce was spicy and creamy with a tart hint of ponzu. One final lychee martini was the ideal dessert before a night out on the town. 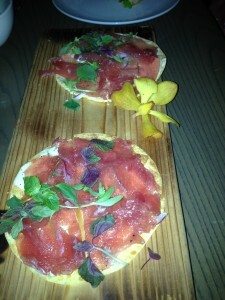 BondSt is a perfect restaurant for dinner with your parents, friends, or a date. Just know that quality comes at a decent price. 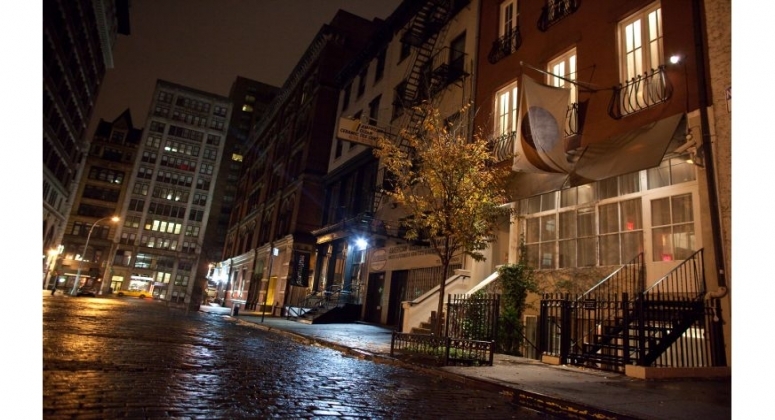 Welcome to The EPICURIST- a site about great restaurants and restaurant experiences in New York City and around the world. 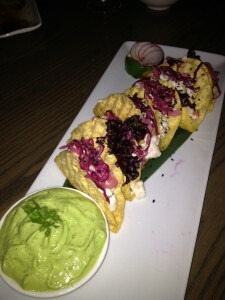 Enjoy my culinary adventures! Copyright © 2013, Chloe Wynne. All Rights Reserved.